TheSamba.com :: Beetle - Oval-Window - 1953-57 - View topic - 1954 & 1955 engines whats not correct! 1954 & 1955 engines whats not correct! Posted: Sun Mar 18, 2018 11:04 am Post subject: Re: 1954 & 1955 engines whats not correct! My mars oval 1953 25 hp have the non banana shroud. 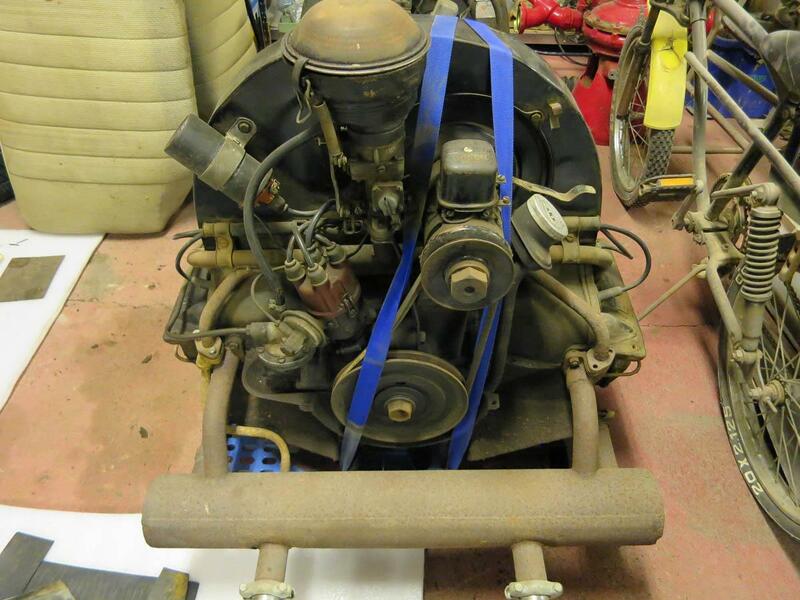 But i now bought an february 1954 30 hk engine and that have the non banana shroud to. But it may have been exchanged sometime. My Feb 1954 engine has both the "banana" stamping and welded tab (and I believe the shroud is original), so it's possible February '54 is when the stamping was introduced. 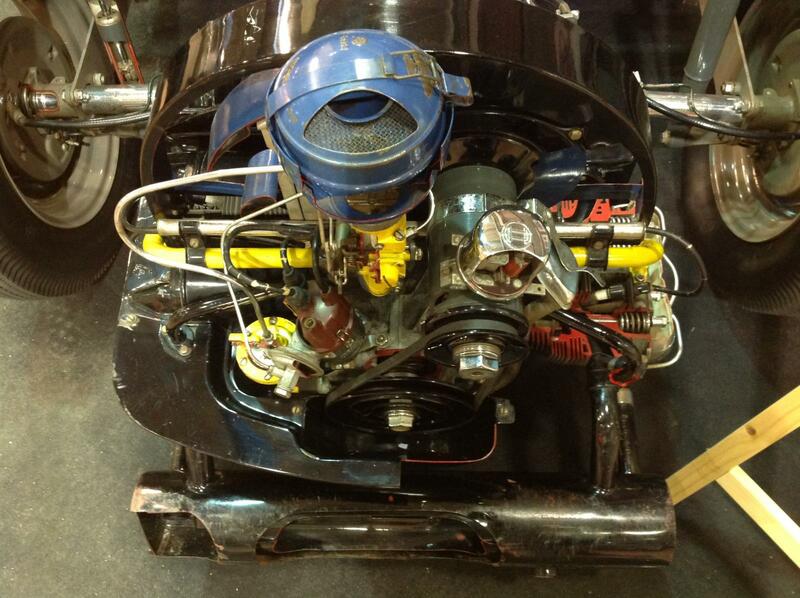 Posted: Sun Mar 18, 2018 12:19 pm Post subject: Re: 1954 & 1955 engines whats not correct! My feb -54 engine look pretty correct so it could be right on that early 54. Hope some more have some more proof what is correct. T3 TriStar airride with Audi 1,8T engine and Porsche 996 gearbox. 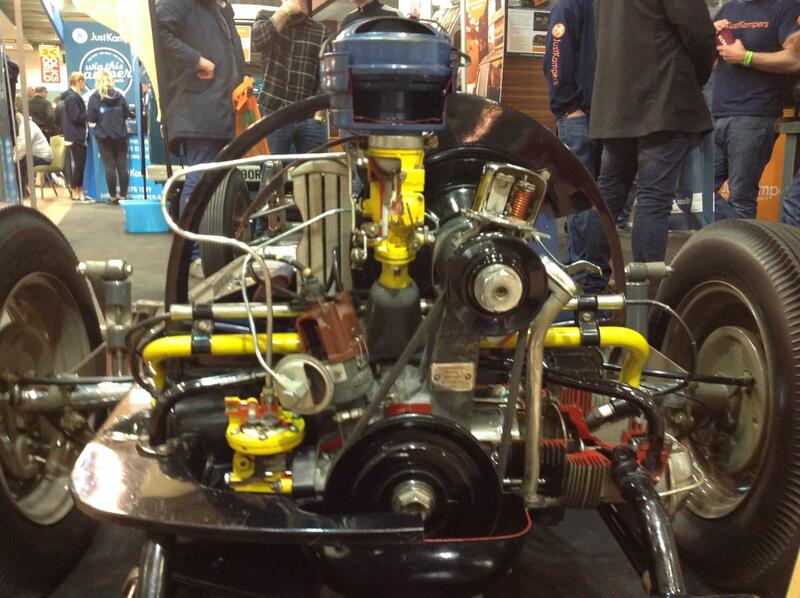 Posted: Sun Mar 18, 2018 1:23 pm Post subject: Re: 1954 & 1955 engines whats not correct! I think this question is really interesting. There are many correct parts on your engine, but I also noted the 25hp fuel pump- maybe the fan shroud also comes from a 25hp donor engine? 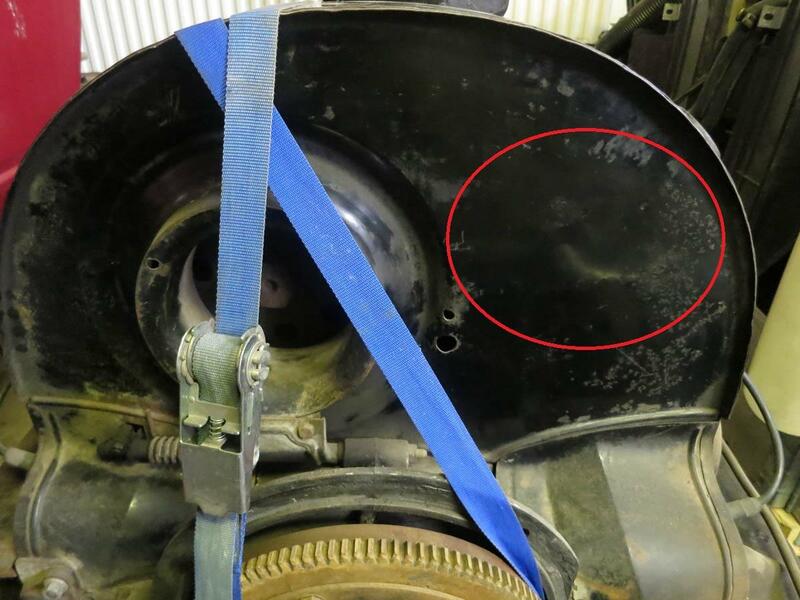 Does the paint and signs of wear on the shroud look identical to the ones on the cylinder tins? These are definitely correct for the engine and propably original for this engine, so if these parts look completely different, it could indicate that the shroud was changed. Posted: Mon Mar 19, 2018 3:28 am Post subject: Re: 1954 & 1955 engines whats not correct! Yes the fuelpump is an 25 hp. But everything else look right, i can´t se any sign of that the shroud is changed but how know. My thought was that they change the shroud when they moved the engine harness in the engine compartment. Sometime after august 1955 must they have moved the engine harness from the corner to right through the fire wall. 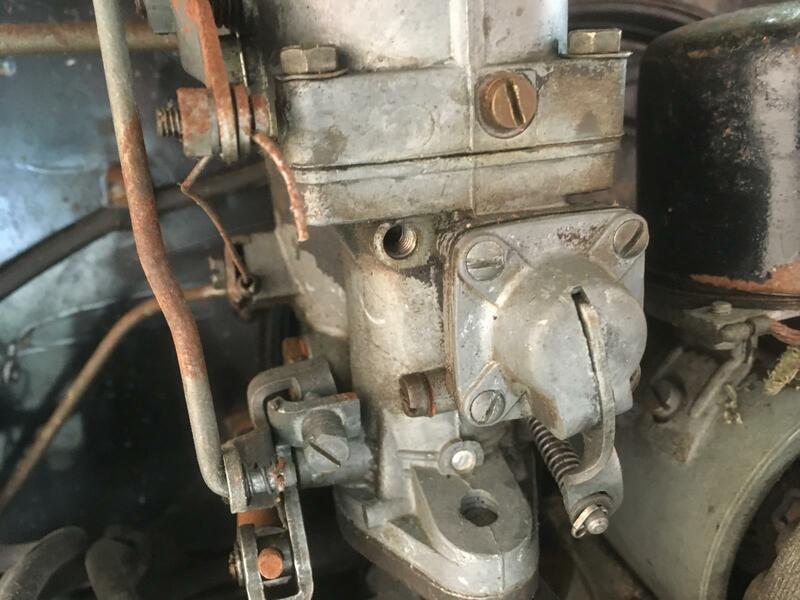 Posted: Mon Mar 26, 2018 3:42 pm Post subject: Re: 1954 & 1955 engines whats not correct! Posted: Mon Mar 26, 2018 7:54 pm Post subject: Re: 1954 & 1955 engines whats not correct! My Jan '54 doesn't have the banana stamping. Posted: Mon Mar 26, 2018 11:13 pm Post subject: Re: 1954 & 1955 engines whats not correct! The engine above looks like a '54 engine but it has a '53 air cleaner and oil filler. Maybe left-over parts they used for cutaway purposes? A lot of the colors are wrong. Posted: Tue Mar 27, 2018 6:54 am Post subject: Re: 1954 & 1955 engines whats not correct! Your´s as mine is 25 hp would like the hear if any have this shroud without any banana stamping on any 30 hp engine. Posted: Thu Mar 29, 2018 6:45 am Post subject: Re: 1954 & 1955 engines whats not correct! In January of 1954 Volkswagen was using 36hp engines. Posted: Thu Mar 29, 2018 6:49 am Post subject: Re: 1954 & 1955 engines whats not correct! It appeared to be a 25hp engine and they also mixed late 25hp and early 36hp engine parts. Posted: Thu Mar 29, 2018 7:55 am Post subject: Re: 1954 & 1955 engines whats not correct! A lot of these cutaway engines had the Uterus manifold. VW probably had a lot of stock of those since they rotted out from the inside so they put them on the cutaway motors rather than trashing a good one. Posted: Thu Mar 29, 2018 8:11 am Post subject: Re: 1954 & 1955 engines whats not correct! Thanks for correcting me, you're right i mixed the years on my 2 engines. The 25 hp engine last to december 1953. Now we have your januari 30 hp and my february 30 hp without the banana stamping. 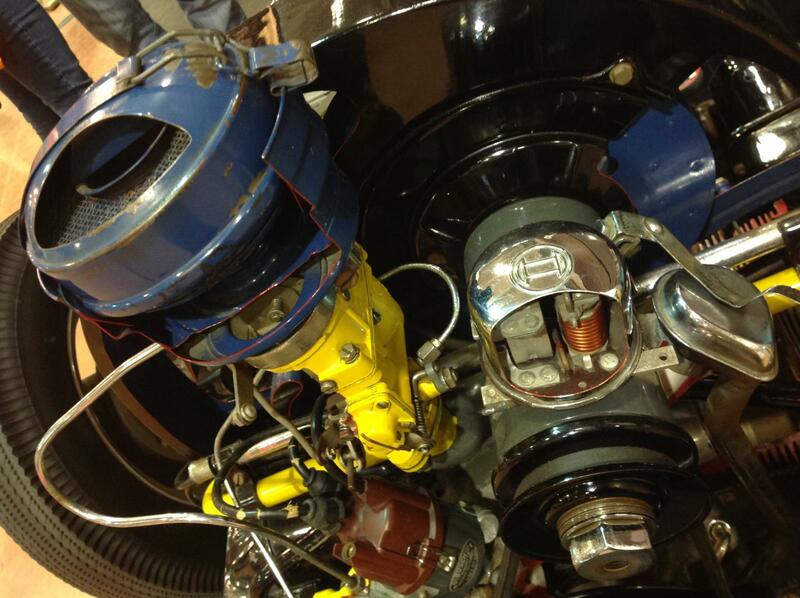 Posted: Sat Mar 31, 2018 3:51 am Post subject: Re: 1954 & 1955 engines whats not correct! Hope it's not a bit off-topic, but maybe that can help someone else? I'm slowly rebuilding a June 54 engine and it should be as correct as possible. For that reason, I will also use one of my Uterus manifolds. It's like new... and I want to prevent it from rusting. What's about the other guys with that manifold? Did anybody galvanize it or did protect it in another way? These are too rare and too cool to rust out, but still better than leaving them on the shelf. Posted: Sat Mar 31, 2018 5:03 am Post subject: Re: 1954 & 1955 engines whats not correct! I have thought about galvanizing too. I would try that although I'm not sure how well it would plate inside due to the way electroplating works. It is kind of line of site but I could be wrong. You could also block off the heat risers so no heat flows through them. This should reduce any corrosion. If you went that route you could probably pour in some high temp paint and slosh it around and then bake the manifold. Since no heat will go through it the paint should hold up fine I would think. I think John Henry did something similar to one that he patched up. Posted: Sat Mar 31, 2018 8:47 am Post subject: Re: 1954 & 1955 engines whats not correct! I wonder if it would be possible to ceramic powder coat the inside? I would experiment with another manifold first though. Posted: Sat Mar 31, 2018 9:14 am Post subject: Re: 1954 & 1955 engines whats not correct! Good point with issues that could occure inside the "Uterus", I thought the same! What do you think about a flexible tube that is pushed inside the heater tubes? It must be heat resistant, but there is definitely something out there. It could be the easiest and non-permanent solution, as you can pull it out again. The diameter should be still thick enough. 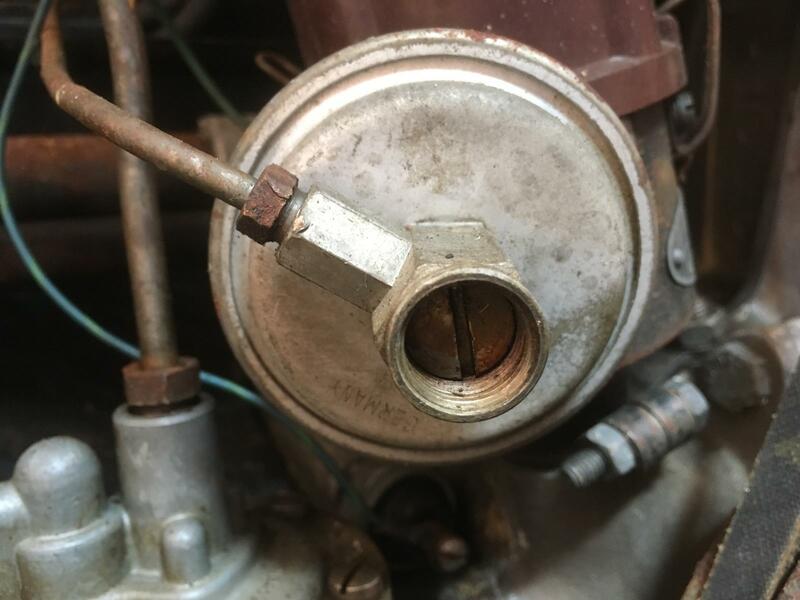 Posted: Sun Jun 24, 2018 8:40 am Post subject: Re: 1954 & 1955 engines whats not correct! The distributor is a Bosch VJU 4 BR 8. The vacuum canister usually looks different to mine. Is it just missing the bolt? What is the screw for? Also, I have a screw missing from the carb, I think its the venturi locating screw, can anyone confirm? 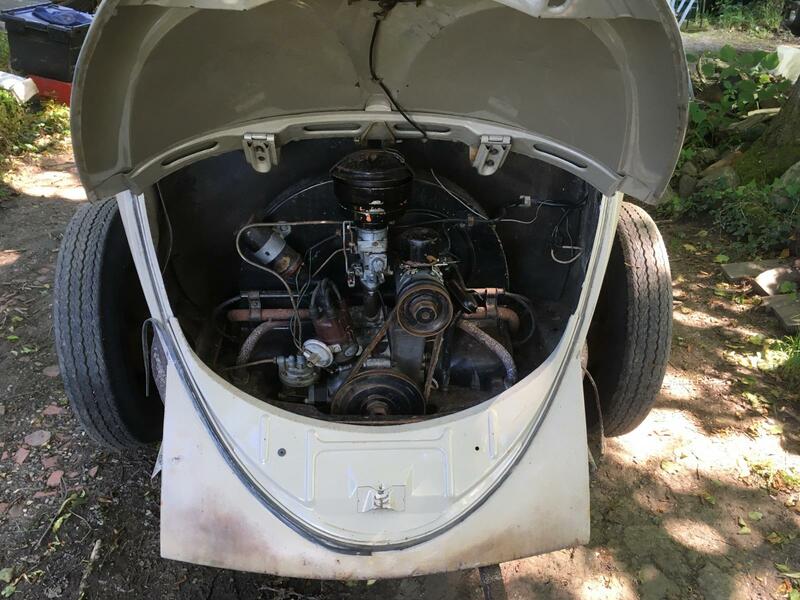 Posted: Sun Jun 24, 2018 9:17 am Post subject: Re: 1954 & 1955 engines whats not correct! Your engine looks very original to me with all the correct parts. Yes, the bolt is missing. The screw is for adjustment. I've never used it myself. 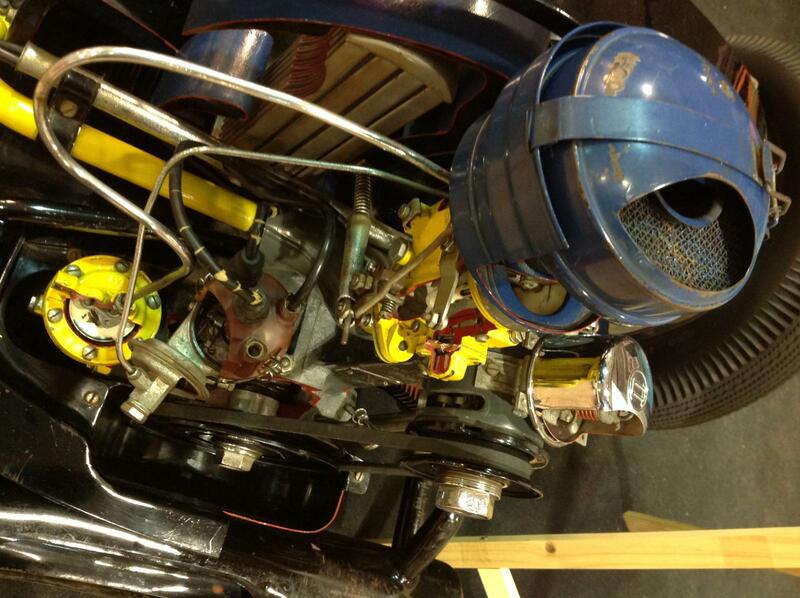 Posted: Sun Jun 24, 2018 10:59 am Post subject: Re: 1954 & 1955 engines whats not correct! Do you know if either will affect running? I have a couple of later 40hp engines spare. Not sure if if the carbs are identical. Ill have to dig them out and have a look. 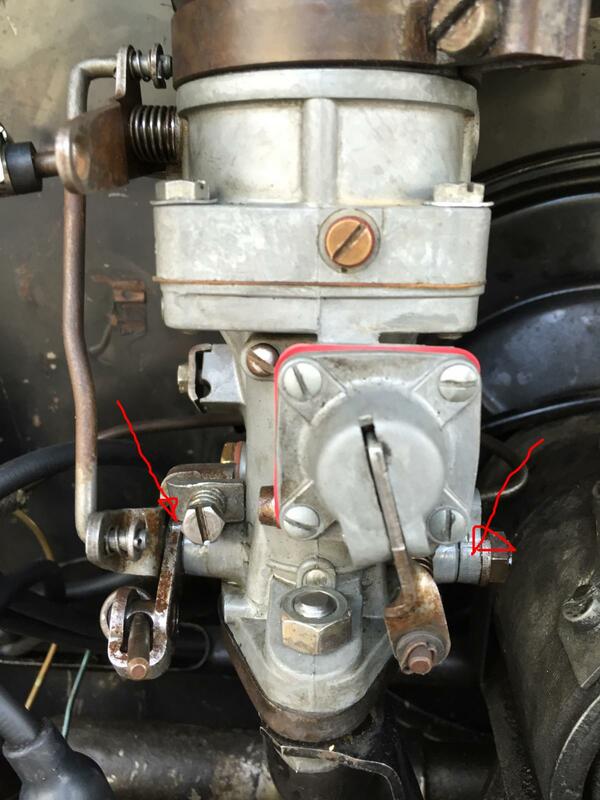 Posted: Sun Jun 24, 2018 5:43 pm Post subject: Re: 1954 & 1955 engines whats not correct! I am making a guess but I would say both will affect it from running correctly. The bolt on the distributor has a metal washer so I think this acts a seal and it may not advance correctly. The screw in the carburetor I am sure needs to be there for proper running.